In absence of any theme I found myself playing yet another choice which, had I been more inspired, I could have brought along to our debut album night. Rather than any knowledge of trip-hop and the Bristol scene, it was my fondness for Harry Palmer that underpinned my instant connection with this album in 1994. For those that have never seen the Ipcress File (http://www.youtube.com/watch?v=i2Jw6_Xgszk and there can’t be too many), the whole feel of the film and the soundtrack seemed to run through the album the first time I heard it. Needless to say I was sold first time. It wasn’t until years later I discovered the 60’s Spy inspired short film (http://www.youtube.com/watch?v=G7mO__TIAzAn) made by the band, which led to their signing. A stunning and award/poll winning debut album. Its equal commercial success probably led to it frequently being brought out as dinner party “muzak” and we discussed this on the night. Familiarity breeds a degree of contempt on my part and I had put this album to one side for far too long. Hearing it on a good audio set-up was a real treat and I was rediscovering whole chunks of the album. Having spun it a few times in the car the week before it sounded like a completely different album (but it could be I’ve got a crap cd/amp in the car!). Years may have passed but it is still so strong and the hooks so memorable. If I was forced into picking stand out tracks ‘Mysterons’, ‘Sour Times’ and ‘Glory Box’ would have to be up there, though the album just seems to hang together wonderfully. Must remind myself to run through their later work which has been gathering dust for too long. Tom Listened: I think I bought Dummy the week it came out. I immediately fell for its mixture of cool, dark songs and slightly menacing, unsettling atmospheres….and then, as the album became more and more ubiquitous and appeared plonking away at a (frankly insultingly) low volume level in the background of more and more TV programmes and adverts, I kind of grew tired of it and it cruelly ceased to find its way onto my turntable. But having listened to it again now, after an embarrassingly long time apart, I have come to realise that none of this was the album’s fault. Dummy was so poorly treated and misunderstood by all those people who thought it sounded pleasant enough to stick on quietly in the background of..whatever…as a set of ten nice torch songs with sweet melodies and hip aesthetics. Because Dummy was meant to be played loud and to be listened to properly and absorbed and lived within and, if you do that, it is so obviously a very different beast, a dark, mysterious, discombobulating and totally unique listening experience that is much more out there than a cursory listen would suggest. Thank you Graham for re-aquainting us. Rob listened: What a strange, unique record, an archetype for a set of one. ‘Dummy’ sounds fully realised now. We know it’s every dip and swerve. On reflection, it always did. It seemed to emerge complete, flawless, a marvel. However, i’m not sure it ever was absorbed into the culture. I’m not sure anything this perfectly formed, so other, ever could be. It’s easy to imagine that it was much imitated, but it wasn’t. Who could? 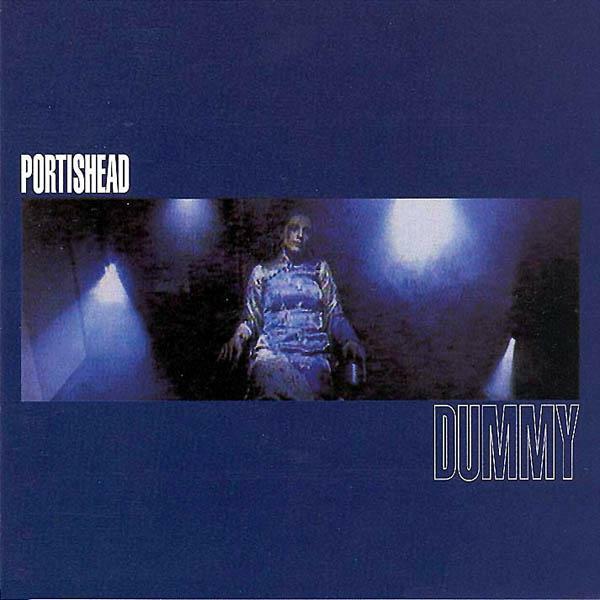 Only Portishead themselves. Now, almost 20 years later, after a long time dormant and particularly cast in the contrasting light of ‘Third’, another stunning album, ‘Dummy’ sounds even more magnificent. Nick Listened: There isn’t much to say that has not been said. I lent a copy of this to someone when I was at university and never got it back, so I bought another copy. I didn’t mind that much; it’s brilliant. I hadn’t listened to it in years though, and was very happy to revisit. Interestingly I bought their second album recently and thoroughly enjoyed that too; it seemed to rather float past people at the time.